As a small business owner, you may be working on client-specific projects or projects that can apply to any number of clients. 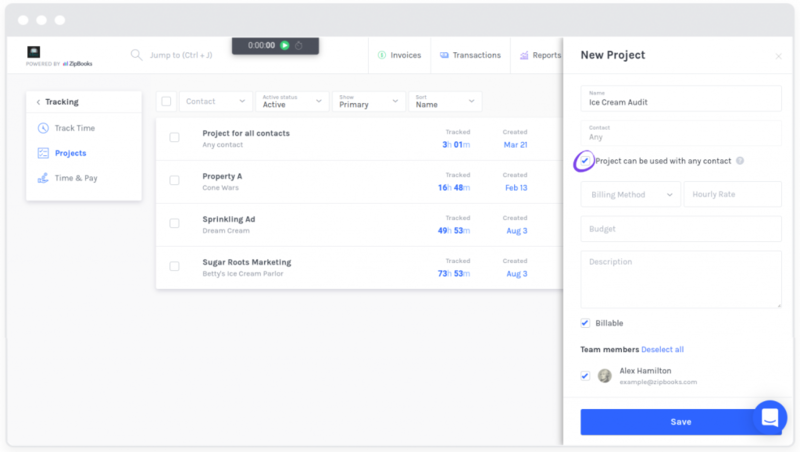 To simplify time-tracking, ZipBooks lets you choose whether you want to assign a project to a single client or multiple. Now, when you’re managing your time entries, you can organize any work done for that project under the same category, even if it was billed to multiple clients. Note: Assigning a project to “one” or “any” client can only be set up when you first create the project. You can not change this setting on a pre-existing project. However, you can adjust single-client projects by changing the client to whom the project was assigned (but it can still only be one client).